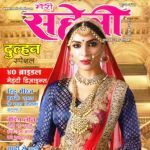 Buy (Order online) Meri Saheli Monthly Magazine (Magasin) Now. 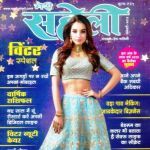 Meri Saheli’, a women’s monthly in Hindi, edited by the legendary actress, dancer and erstwhile member of Parliament, Ms Hema Malini. The Magazine succeeded in giving the regional female readership the true friend that they were looking for. This instant identification with the content of ‘Meri Saheli’ led to its astounding success and it grew rapidly, reaching the zenith in no time. FAQs, in-depth articles, stunning photo features and fashion and beauty spreads, fiction and highly inspirational interviews. The Magazine covers every aspect of women’s life in a language that is both contemporary and young. With an enviable circulation of 4 Lakh 22 thousand copies and a Readership of 44 Lakh 14 thousand, ‘Meri Saheli’ is a force to reckon with. 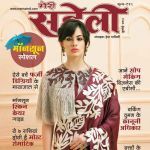 Ever innovative and deeply committed to maintaining the high standard, quality and consistency of magazine content and to further growth and a deeper, lasting bond with its readers, ‘Meri Saheli’ renews itself every moment. With its empathy with the Indian woman, it projects her dreams and her flight exactly the way she wants it. MeriSaheli maheene ke Magazine prices are inclusive of shipping and handling through USPS. (for US deliveries). For other Countries shipping will be handled through their Postal Services (like Airmail in India). Address for delivery (Subscription) can be changed anytime. Please mail us the changed address details to info@magazinesemporium.com. 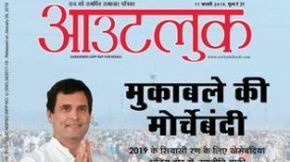 मेरी सहेली Monthly Magazine subscriptions will commence either from current issue or from next coming issue. MeriSaheli maheene ke Hindi Magazine will be shipped immediately on getting the issues from the publisher. They are inclusive of Diwali and Annual issues. Any special issues will also be sent free.